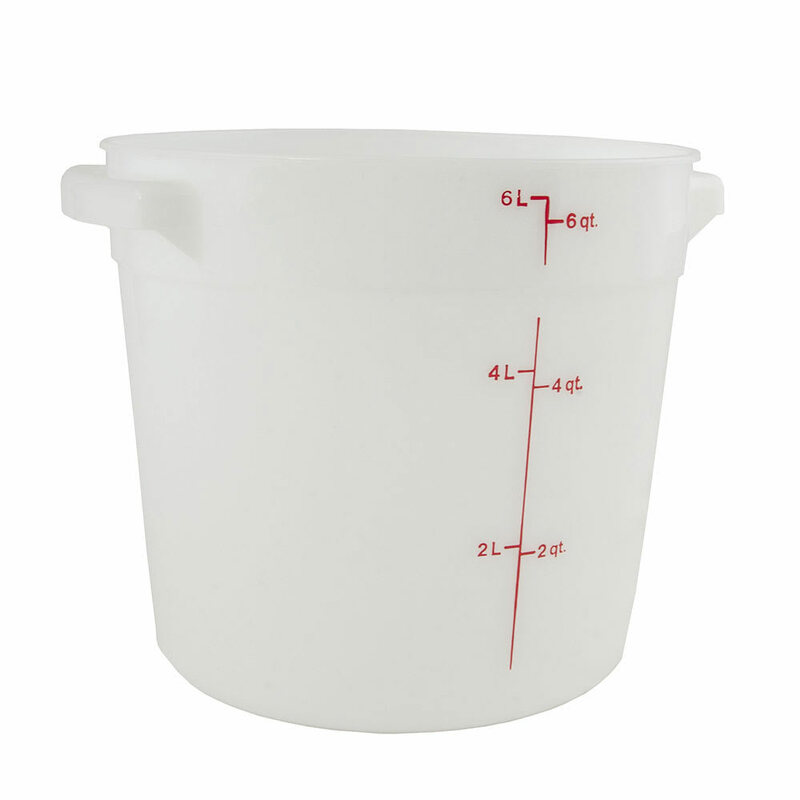 The Cambro RFS6148 round container is made of polyethylene to resist cracking and staining and is safe in temperatures from -40 to 160 degrees Fahrenheit. 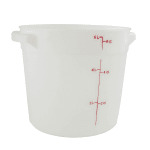 It has a 6-quart capacity and exterior graduations to quickly identify product. Not sure if this container is right for your operation? Check out our food storage container article to learn more. "Ive been using this product to brine chicken,works great. I should"ve gotten a bigger one,maybe another time."